Download the Kaspersky Rescue Disk image. Write the Kaspersky Rescue Disk image to a USB drive or CD/DVD disk. 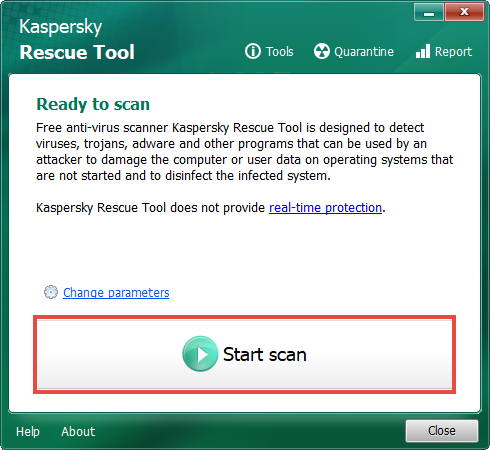 Run the scan by clicking Start scan in the Kaspersky Rescue Tool window that opens.